Email is an important service to exchange information for Internet users, this important use of email made it the target of various disturbances, such as spam attacks, most of the time it’s generated by advertising (Clayton 2003). Short Message Service (SMS) like emails are also the target of spam attacks, so it is necessary to make emails and messages safe from spams (Karami and Zhou 2014). 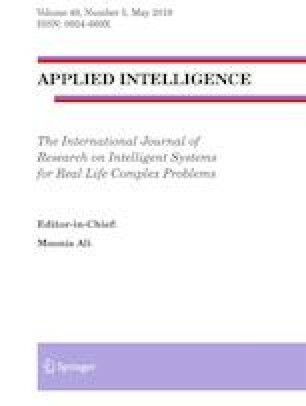 This motivates the researchers to provide new solutions which can filter and detect spams based on heuristic techniques represented by the inspiration from nature (or bio-inspiration), it’s a new discipline that studies the best ideas of nature, then imitates them and applies their concepts and processes to human problems (Tahir et al. 2017, Ferreira et al. 2014), after exploring the marine world we opted for the octopods, because of its high quality of defense, and even are not very used in the world of bio-inspiration. One of the most defensive animals in their life is the octopods, they have a great ability to avoid attacks from predators, and they make an intelligent system of security that is hard to break it (Octopus-defenses 2018). In our work we proposed a technique based on the natural function of the octopod for the purpose of detect spam sms, the technique is based on two objective functions, the first is to calculate the force of move of each message, and the second is the probability of messages of each class from the learning base.